Classic Metal Roofs, LLC has been proud to have been serving homeowners in Jamestown, RI and outer areas for over a decade and have three generations of experience on our side in the roofing industry. We have set new standards for metal roofs, having the expertise and the commitment to quality that simply does not compare to any other. We offer a variety of materials for roofing, including aluminum, in the styles Oxford “Slate” and Rustic “Shake,” as well as roofing systems made from copper and zinc, which are eye-catching and practical and last longer than almost any other type of metal. Our aluminum, copper and zinc standing seam metal roofs and metal shingle roofs offer numerous benefits over conventional roofing materials such as wood shake or asphalt shingles. With aluminum, you no longer need to worry about water damages such as warping, cracking, or streaking. Aluminum also will not support infestations of insects or moss, making your roof practically maintenance free. 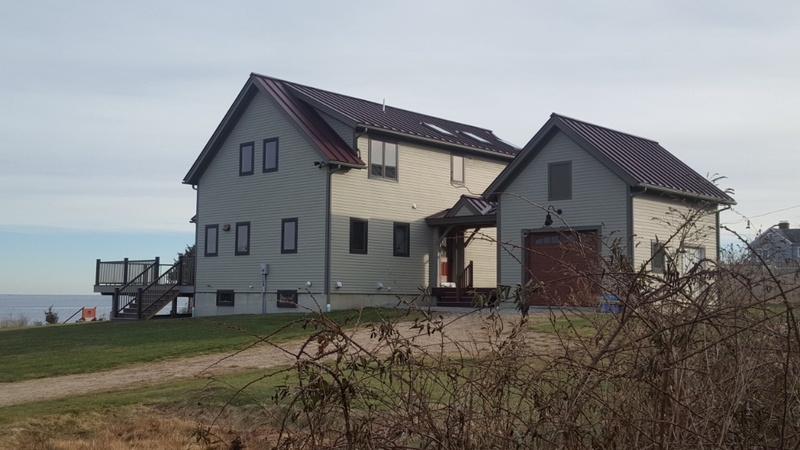 With the added benefit of being resistant to fire and corrosion, you can trust that our aluminum, copper, and zinc roofing systems will last as long as your home. We do not offer steel or galvalume roofs simply because we do not recommend these inferior metals. Our roofs last close to 100 years with little upkeep, as opposed to conventional asphalt shingles which must be replaced after just a decade, all while requiring constant maintenance throughout the years just to live its full lifespan. Our materials are also made from 95% recycled material and can be recycled at the end of their life, which is why they are especially superior to asphalt in terms of environmental friendliness and contribution to waste. We are confident about the quality of our products, which is why all residential projects are protected by our lifetime warranty. Contact us at (866) 303-2002 or fill out our online form to get a free quote for your home today! Aluminum standing seam roof on this high wind bay. 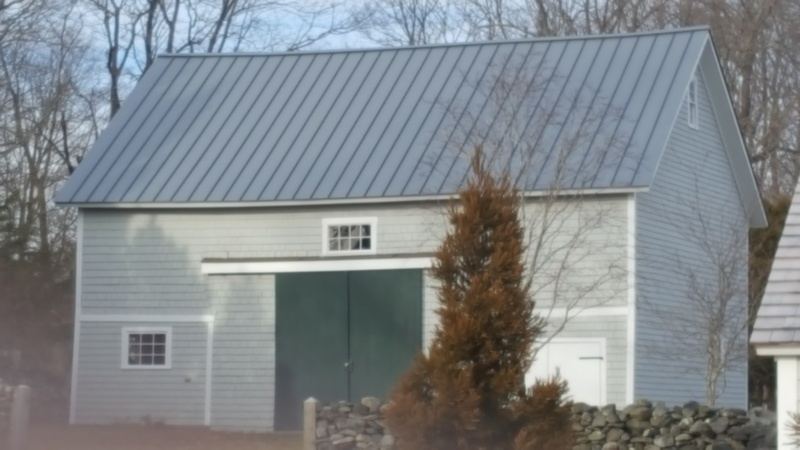 An aluminum standing seam barn roof in the color Preweather Galvalume. Preweathered gslvalume aluminum roof on this beautiful barn. Ocean front property looking for an aluminum standing seam roof.